When Robert Venturi and Denise Scott Brown first released their text Learning From Las Vegas in 1972 the idea of the importance of unity or disunity of vision created within the visual environment by urban patterning and built form had been greatly neglected. Perhaps, the shock of the everyday assisted in alerting the design professions to the importance of the prosaic nature (common v heroic) of the constructed urban environment even where hyper-reality is the norm. The text is credited with re-humanising the built environment through its influence in promoting and disseminating the tenets of the emerging Postmodern movement. 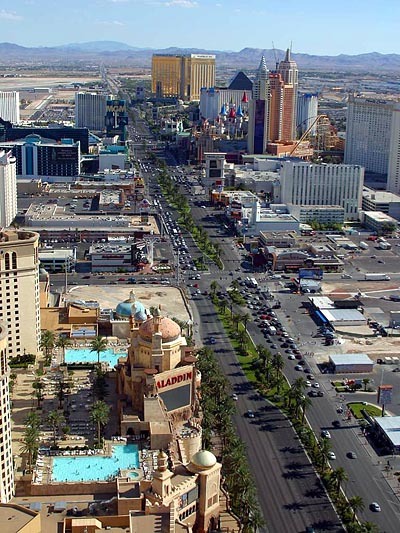 Learning from Las Vegas continues to influence in surprising and controversial ways the thinking of designers including landscape designers and multi-media designers through its insightful analysis of the visual environment. Viewing the original photographs of Denise Scott Brown is a revelation in perception and an eye for beauty in the ordinary. This entry was posted in context-sensitive design, Urban Design on 31st August 2009 by Christine. Long viewed as a Celtic or Roman god, a very disappointing 1973 theory (by John Hutchins) sees the giant as a political cartoon cut on the instructions of Denzil Holles in the 1640s to represent Oliver Cromwell. Denzil Holles hated Cromwell but I admire him and, if the history is correct, would see the Cerne Abbas cartoon as that of a man who felt that only the excercise of force could restore the virility of English democracy. If the reminders do not achieve the necessary result, MP’s should be clubbed – for the crime of not respecting the known wishes of the electorate. PS as a god-fearing man, Cromwell is likely to have opposed assisted suicide. 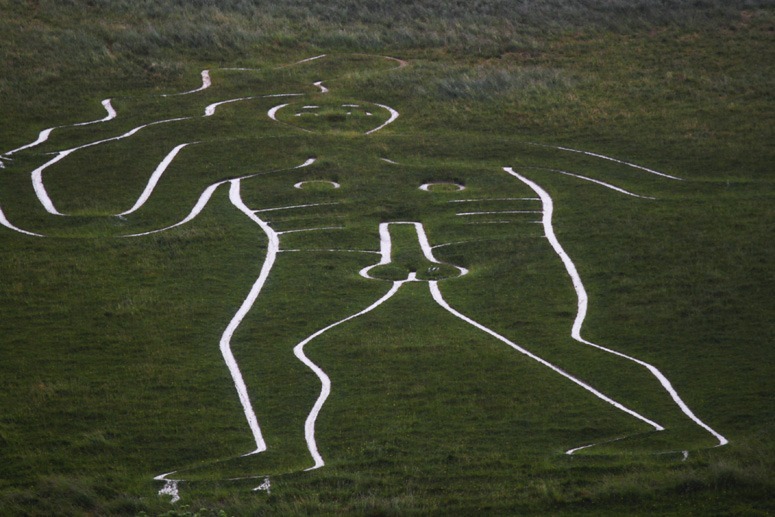 Since many of its members are elderly, one might assume the National Trust, which cares for the Cerne Abbas Giant, to be in favour of the measure. This entry was posted in national trust gardens on 28th August 2009 by Tom Turner. For fire, water, air and earth see also http://firefeatures.com/index.htm the environmental sculpture of Elena Columbo. 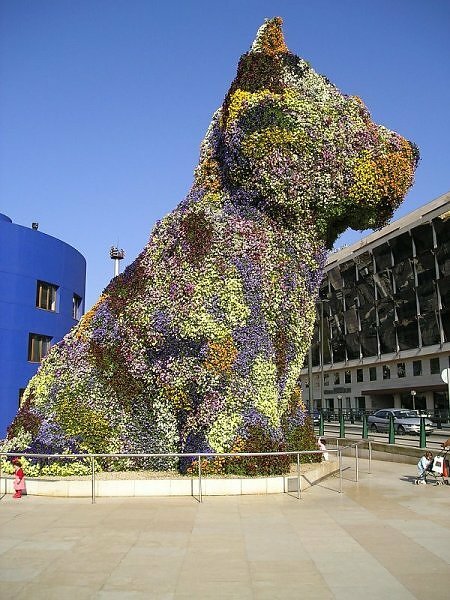 This entry was posted in Garden Design, Landscape Architecture, public art, Sustainable design, Urban Design on 28th August 2009 by Christine. The aesthetics and perfume of flowers have always attracted…however I know little about the cultivation of plants. [http://freshpalette.blogspot.com/2009/03/tulips.html] So I will indulge in some self-education in an attempt to at least improve my awareness and save myself from future embarrassment. This entry was posted in Garden Design on 25th August 2009 by Christine. 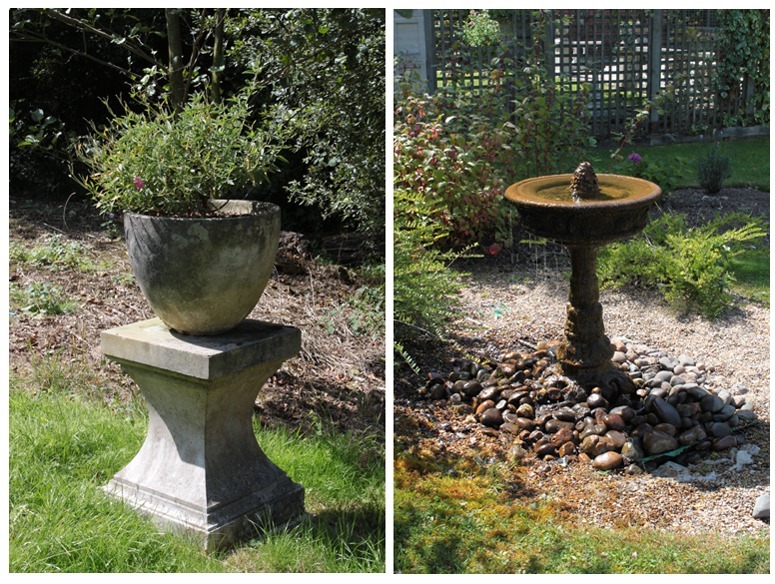 Most of the ‘concrete ornaments’ in garden stores are vile, some more reminiscent of a stained WC pan than of a stone garden ornament. But there are some notable exceptions and the best quality products we know of are made by Chilstone. The company explains that each ornament ‘is handmade in reconstituted stone by a special process, developed over our long history to ensure a finished texture virtually indistinghishable from natural stone’. They specialize in making accurate copies of antique originals. Mosses and lichens grow well on the products and the species which flourish depend entirely on the local environmental conditions (shade, sun, moisture etc) so that they become INDISTINGHISHABLE from natural stone ornaments. The ingredients are crushed stone and a binder – with no use of the sand or aggregate normally used in making concrete. The ornaments are not very cheap but they are very good, so that many Chilstone items have been sold at Sotheby’s for many times their original retail price. You can think of them as an investment! This entry was posted in Garden and landscape products, Garden Design on 24th August 2009 by Tom Turner. Rain and snowflakes are formed from water vapour from the heavier isotopes of H2O. Water has an atomic weight of between 18 to 22. “What are common snowflake shapes? Generally, six-sided hexagonal crystals are shaped in high clouds; needles or flat six-sided crystals are shaped in middle height clouds; and a wide variety of six-sided shapes are formed in low clouds. 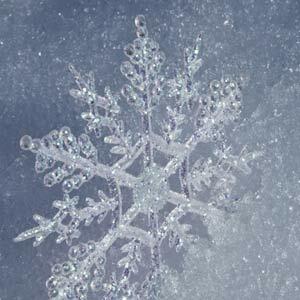 Colder temperatures produce snowflakes with sharper tips on the sides of the crystals and may lead to branching of the snowflake arms (dendrites). Snowflakes that grow under warmer conditions grow more slowly, resulting in smoother, less intricate shapes. 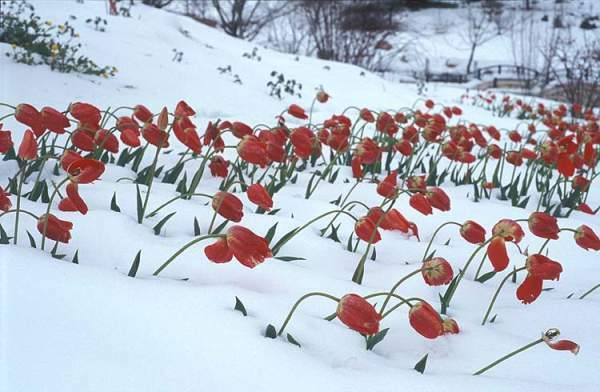 So to get to the crux of things – is snow flake biodiversity endangered by global warming? This entry was posted in context-sensitive design, Sustainable design on 24th August 2009 by Christine. CrinkleCrankle.com have released a new product into their range. The Space Invader-esque Fibreglass Pot. Made with top quality graffiti paint it’ll survive the worst of frosts. A Fibreglass Pot that threatens your freedom. This entry was posted in Garden and landscape products on 23rd August 2009 by henry. 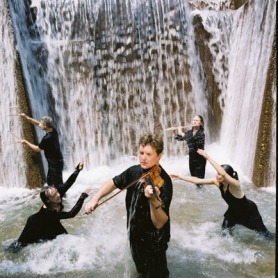 Halprin was keen to design participatory spaces rather than spaces that were merely aesthetic. It is surprising, given his background was in plant sciences and horticulture before studying landscape architecture at Harvard, that he is best known for his work on public spaces. Although it is possible to surmise that his formative architectural interests and Bauhaus teachers influenced his sense of formal spatial design. This entry was posted in Landscape Architecture, public art, Public parks, Urban Design on 23rd August 2009 by Christine. 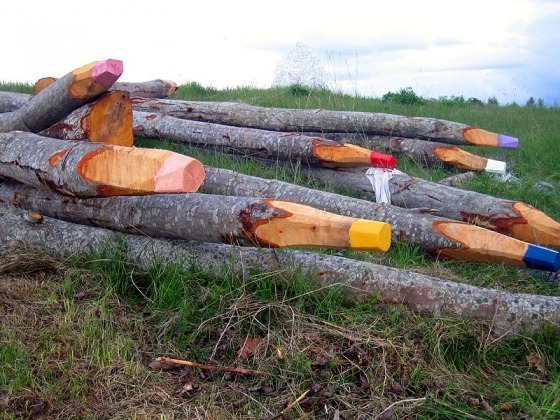 Environmental art is incredible for its ability to enable us to perceive the everyday in new ways. Art is also often a useful design tool because it assists us to describe an aspect of seeing which is otherwise difficult to illustrate. Garden design, while sometimes surprising, usually aims at a form of contemplative delight in which our senses come to a point of rest. In Japanese garden design the concept of Ma (space) is important. This entry was posted in Garden Design, public art on 23rd August 2009 by Christine. A summer of visiting English gardens and today’s visit to Restoration House and Garden in Rochester set me thinking about historic gardens – and reminded me to take a closer look at the 2007 English Heritage Handbook on The management and maintenance of historic parks, gardens and landscapes. It is an admirable book, well written and illustrated, but it is not the book which historic gardens most needed, because the emphasis is so much more on the technicalities of managing historic gardens than on the the strategic questions of what, why, when and where. To draw a military analogy, it is a book for quarter-masters – not a book on generalship. Also, and understandably, it offers only praise for the work of English Heritage on historic gardens. There is no clearer illustration of this point than the chart (p.47) of Job Titles and Garden Staff Roles. The highest position on the chart is Head Gardener/Garden Curator/Garden Manager and his/her qualifications are described as “M.Hort (RHS), Degree, Botanic Garden Diploma, HND or equivalents + 7 years experience’. The next column summarizes the necessary skills as ‘specialist technical skills and ability. Proven management and policy-making ability’. There is no mention of the two other essential skill-sets for managing a historic garden: historical knowledge and design judgment. It is like putting builders in charge of historic buildings, in full disregard for the need for historical knowledge and design judgment relating to architecture. Lets hope the book goes to a second edition and that this gap is filled. Meantime, we offer readers the Gardenvisit.com notes and guides to Historic Garden Restoration and and Garden Heritage Conservation. English Heritage’s strategic weakness in garden conservation is illustrated by their work at Hampton Court and Kenilworth Castle. The handbook boasts of English Heritage’s Contemporary Heritage Garden Scheme – which I regard as almost entirely misconceived. ‘Contemporary Heritage’ is within an ace of an oxymoron – and why should they be building contemporary gardens in the precincts of great historic buildings, like Richmond Castle? To attract visitors? To give proof of their trendy tendencies? The scheme should go for scrappage. Photo Notes: (1) the top photo shows Richmond Castle with a ‘contemporary heritage’ topiary garden (left photo) and a sensible picture of a fifteenth century orchard-vegetable garden on the English Heritage sign (top left corner of right photo) (2) the left and right photos, below, show two additional views of the ‘contemporary heritage’ garden. This entry was posted in Book reviews, garden history, Garden Visiting, Historic garden restoration on 21st August 2009 by Tom Turner. 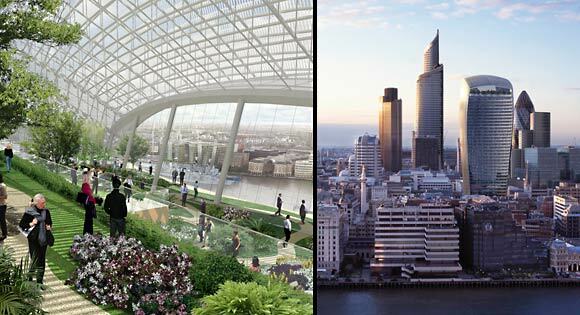 As garden-in-architecture skygardens are new to the urban design agenda. I suppose what we are talking about here when considering the introduction of skygardens into the garden and architecture typology is a form of greenhouse or biodome in the sky. Vauxhaull it would appear is a semi-private garden akin to the penthouse suite or the executive boardroom. While Fenchurch Street seems to promote public thoroughfare and viewing…even though it is not a podium space but rather akin to garden- as- observation- deck. Other projects are shown on http://www.greenroofs.com/blog/. 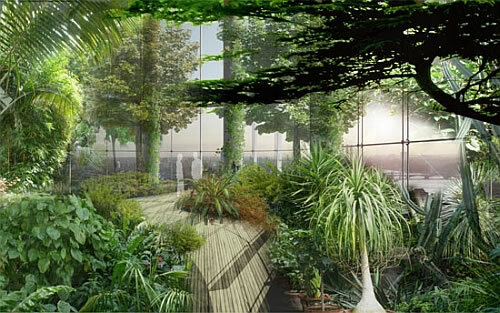 and http://marquetteturner.wordpress.com/2008/07/04/the-urban-jungle-how-architects-are-helping-city-dwellers-get-back-to-nature/ but it will be even more interesting as the type gains popularity and skygardens become a more developed typology…. 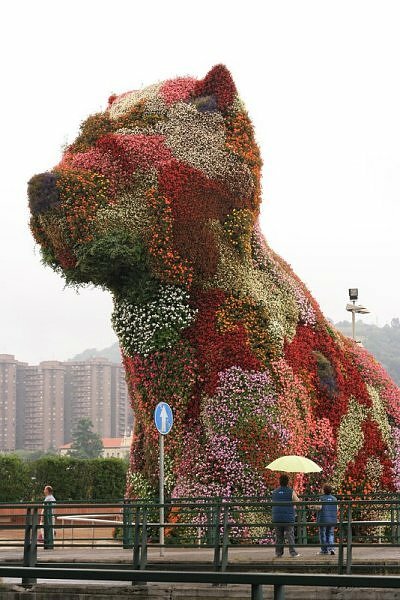 This entry was posted in Garden Design, Garden travel and tours, Garden Visiting, Landscape Architecture, public art, Public parks, Sustainable Green Roofs, Urban Design on 21st August 2009 by Christine. Working on a second edition of Garden History Philosophy and Design 2000 BC to 2000 AD, I used MS Word’s compare and merge tool to relate the text I sent to the publisher with the text as-published. Some of the changes are sensible but I am cross with myself for not taking a strong line with the copy editor on many points. She seems not to have been too bothered about my spelling mistakes and, with a notable fondness for hackneyed platitudes, to have concentrated instead on the removal of colourful prose, strong opinions and anything remotely salacious. Grrr! Two of the great things about electronic publishing are (1) you are free of copy editors (2) you can have as many illustrations as you want, and they can all be in colour. 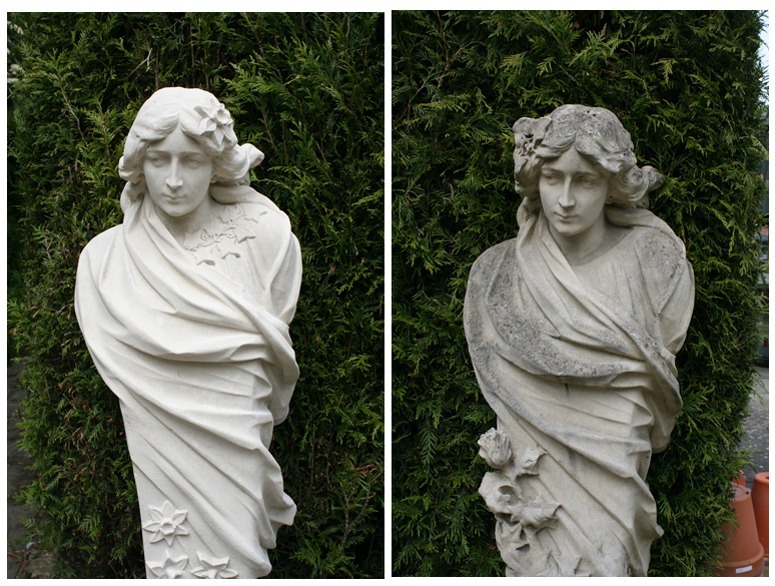 This entry was posted in garden history on 20th August 2009 by Tom Turner. 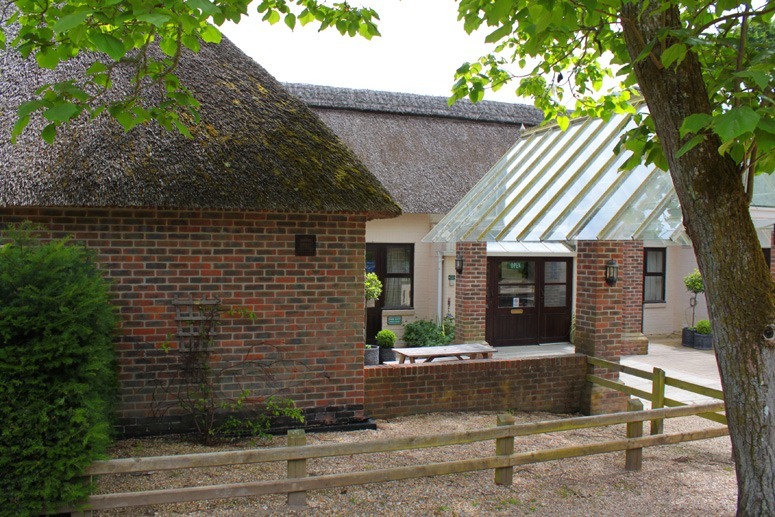 Here is a really good example of context-sensitive design: the glass roof sits beautifully with the thatched roof. It looks as though the pitch is the same and I can’t even be sure whether the piers which support the glass are old or new. But some of the other details are less than perfect – the trip rail, though suitably rustic, seems unnecessary and the outdoor lantern is not in keeping with the arts and crafts excellence of the Athelhampton garden or indeed with what is described as one of the finest 15th century houses in England. This entry was posted in context-sensitive design, Garden Visiting on 17th August 2009 by Tom Turner. 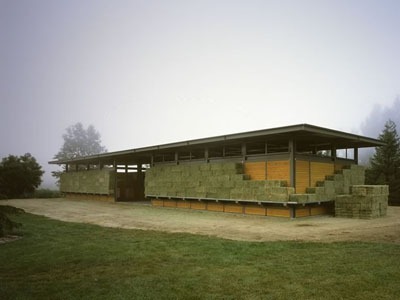 The barn’s steel structure is unchanging and modern while the cladding is traditional and constantly changing according to the seasons and use. This entry was posted in context-sensitive design, landscape planning, public art, Sustainable design on 13th August 2009 by Christine. 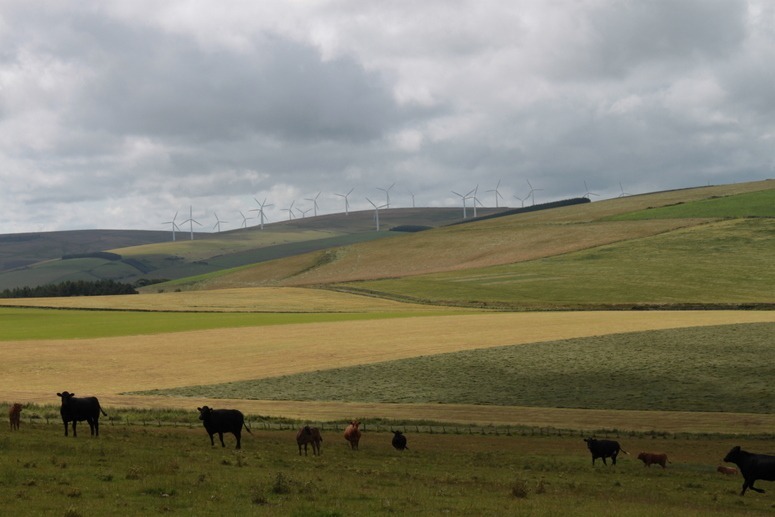 Are the wind turbines a welcome addition to the landscape scenery? Do they make a useful contribution to sustainable energy policy? No and No. They are more like space invaders - and this example is mere tokenism. I know of one excellent publication on the physics of sustainable energy David MacKay’s Sustainable energy without hot air (though his website suggests he lacks expertise in graphic design!). He calculates that ‘If we covered the windiest 10% of the country with windmills (delivering 2 W/m2), we would be able to generate 20 kWh/day per person, which is half of the power used by driving an average fossil-fuel car 50 km per day.’ Current energy consumption is about 125 kWh/day and MacKay calculates that, because of wind-speed variation, if the entire UK was covered with wind turbines it would be possible to generate 200KWh/day. I do not think we should do this. The sensible steps towards more-sustainable energy use are (1) plan cities for cycle commuting (2) insulate buildings properly (3) tax bottled mineral water as heavily as alcoholic drinks. This entry was posted in Garden Design, landscape planning, Sustainable design on 12th August 2009 by Tom Turner. 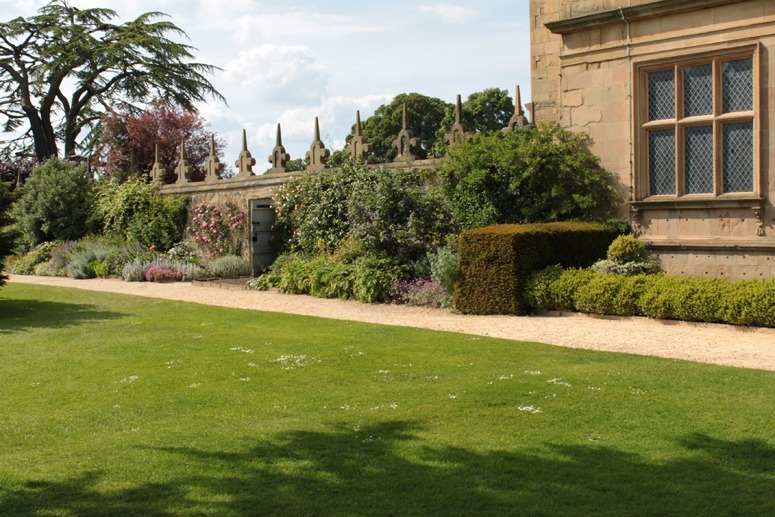 The influence of these famous lines on garden design has been profound. In Europe this came about through the Roman de la Rose and its influence on the design of enclosed gardens. 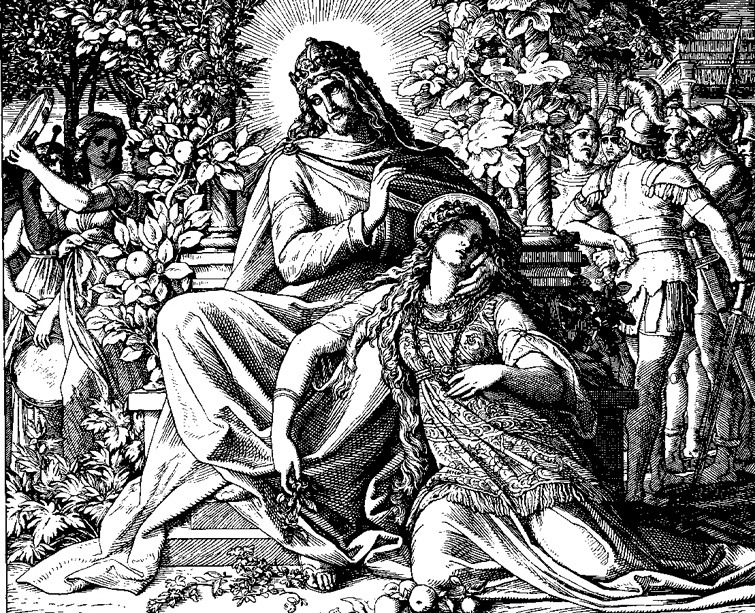 The Song of Songs is also likely to have influenced the Qu’ranic account of the delights awaiting the faithful in paradise, which are far from chaste. This entry was posted in Asian gardens and landscapes, Garden Design, garden history on 9th August 2009 by Tom Turner. New York continues to inspire with reports that an investment company in Abu Dhabi is looking for a 75% stake in one of the cities most iconic buildings the Chrysler Building. 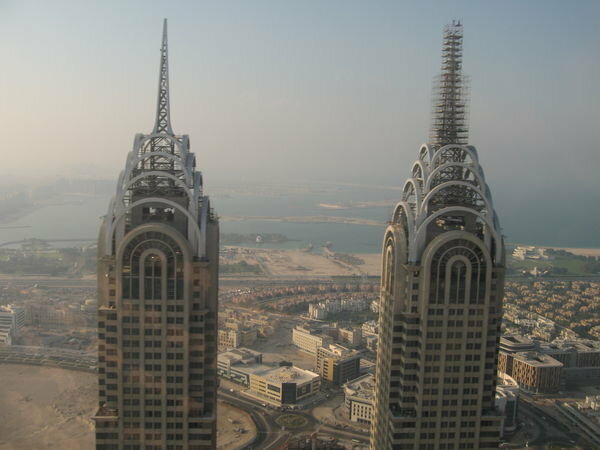 http://www.therealestatebloggers.com/2008/06/12/chrysler-building-for-sale-to-abu-dhabi-investment-company/ While in Dubai the impression is of seeing double….. This entry was posted in Asian gardens and landscapes, Garden Design, garden history, public art, Urban Design on 8th August 2009 by Christine. This verse was inspired by Marian’s quotation from John Michell and by many visits to NT gardens. Graham Stuart Thomas was the National Trust’s first gardens advisior. I don’t have much evidence but I suspect him of making NT gardens too similar – by applying the tradional, and wretchedly simplistic, theory that all you really need for a good garden is some informality, some formality and good flowers from a good nursery. If the National Trust was more like a cultural organization and less like a commercial organisation then its website would be less like the website of a hotels chain and more like the brilliant Touregypt website. For example, compare these entries: Philae and Prior Park and Gilpin Lodge Country House Hotel. Which two are the most alike? Note: one can be as sure they did not have herbaceous borders in 1590 as of any most other details in the history of planting design. This entry was posted in garden history, Historic garden restoration, national trust gardens on 4th August 2009 by Tom Turner. Can we trust The National Trust? When planning a visit to gardens managed by the National Trust, one checks opening times, days/months, and in my case whether dogs are allowed. Lately, though, I have realised there are more things to confirm before a sometimes vast journey is met by disappointment. A large part of the experience of a garden/landscape is visual, so are we missing out if we cannot take good photographic images or view ‘scenes’ we expected to due to the mismanagement of landscapes? My displeasure with The NT was prompted by recent visits to two iconic landscapes, and their less than satisfactory responses after I contacted them with my concerns. It would seem the NT has lost its focus and is swamped by policy documents etc and cant concentrate on little maintenance operations. I think this might be because it has become a huge organisation and is too preoccupied with creating strategies for the future and not concentrating on keeping present ‘customers’ happy. It is managing visitors’ experiences now and encouraging repeat visits which will keep these landscapes alive, without visitors there is little point in future management strategies. Customer satisfaction must be the priority and customer satisfaction is, admittedly, a complicated issue but it must rest on the unique experiential qualities of each individual landscape. The two landscapes I will comment on are Studley Royal and Claremont. At both of these I encountered the same problem of obscured viewpoints. 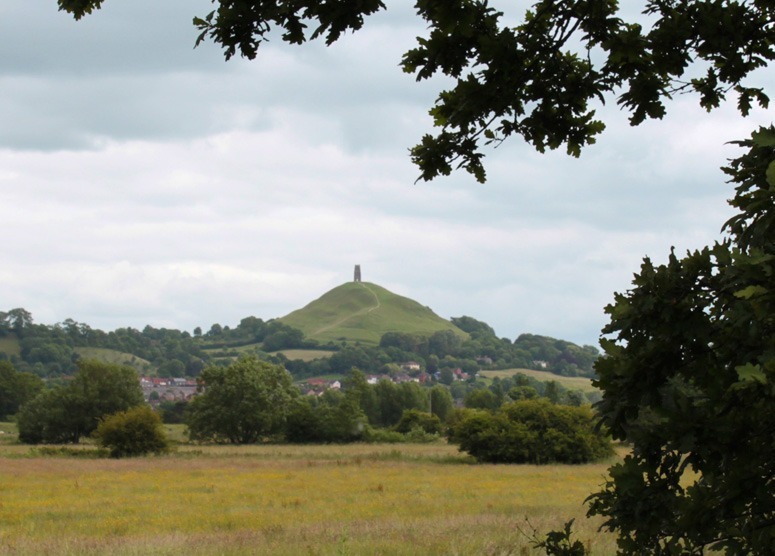 Both of these landscapes contain topographical high points that were utilised as positions from which to overlook the landscape below/beyond. Currently many of these viewpoints are obscured by undergrowth, and in some cases large trees. Most disappointingly is at Claremont where there is a viewpoint indicated on the map shown on the leaflet (more on this leaflet later!) and when one climbs up to where there should be the best view over these iconic grass terraces (the view shown in all images of this landscape) we see only large shrubs and trees in our way. NT do plan to clear it in the future, but apparently it is not a priority because ’not many people use this path’. As for the leaflet; I was not impressed by the leaflet given to me upon entrance because of the amateur looking drawings of insects and creatures on it. Upon further investigation I became quite disheartened by its contents. The bias towards environmental concerns in this landscape was beyond logic. I thought I had come to a landscape famous for having a number of England’s most famous historical Landscape Architects/Garden Designers work on it, not to a landscape legendary for being where dragonflies flourish. I have nothing against environmental issues and in fact believe quite obviously that the designed landscape and the natural landscape should exist in unison. But let’s get our priorities right here, what is most important about this landscape, what is it special characteristic? If these dragonflies can only be found in this landscape, then fair enough they do deserve a mention, but this leaflet contained one small section on the designers (each of whom have had volumes and volumes of words published about them) and the rest of the leaflet was about bugs and insects etc. 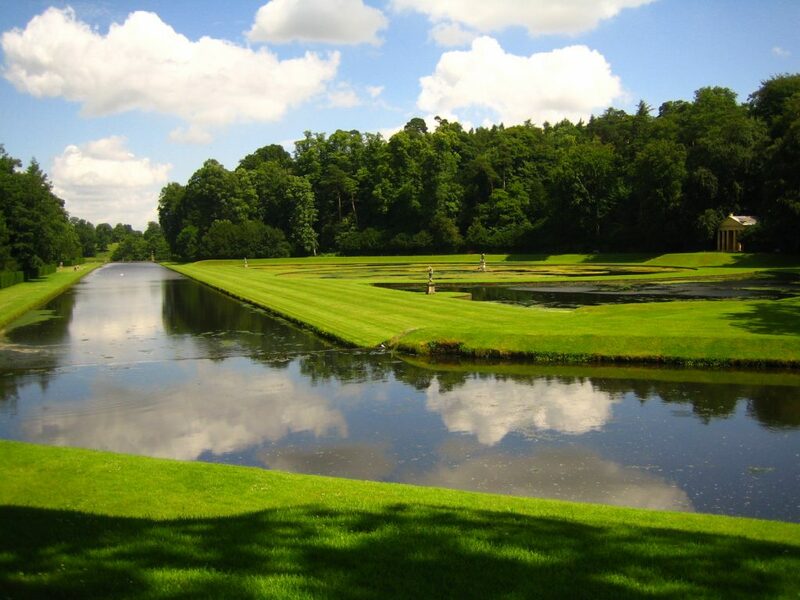 At Studley Royal (which incidentally is a World Heritage Site) I looked forward to seeing the famous Moon Ponds. The photo below shows what I found. When I asked what the NT are doing about green algae I got a very informative response explaining the difficulties in maintaining these pools as they were not designed that well. 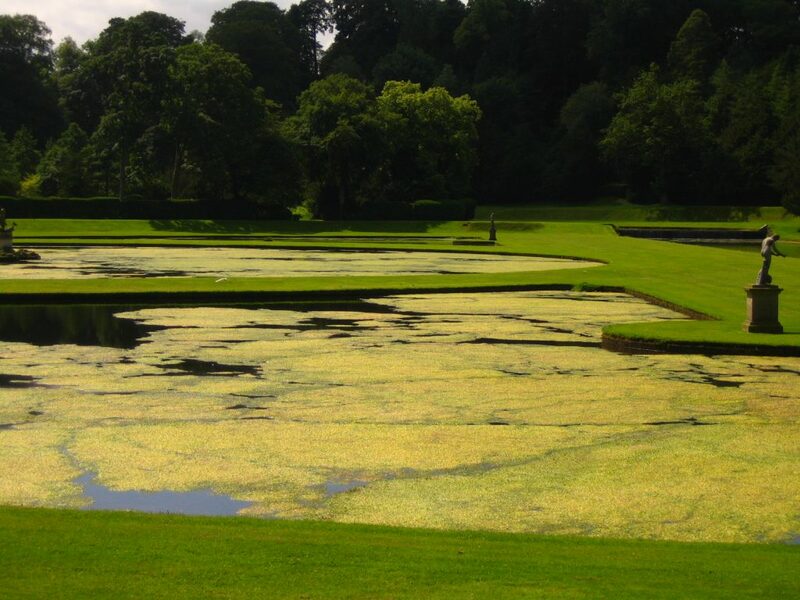 I sympathised with this and was interested to read further that there is a future £1m redevelopment proposed that ought to alleviate ‘some’ of the green algae problem. I really cannot help thinking that for much less expense than that, why cant they simply scoop out the algae on a regular basis, starting immediately. By contrast, the adjacent river shows the reflections my photos should have captured had the Moon Ponds been clear of algae. The NT are custodians of our heritage. There is always a huge bias towards architectural heritage opposed to landscape heritage anyway, this can possibly be excused. But can the mismanagement of important landscapes ensure their survival into the future? Of course I understand that on the whole and as an organisation the NT do a magnificent job as protectors and advocates, in the big picture, but are they loosing focus on the micro scale? Are these small issues only noticeable to garden historians and not the regular punter, am I being fussy? Either way, I will not be recommending anyone visit a NT trust landscape to see some specific scene unless the NT can assure that that scene is actually available for viewing. This entry was posted in Garden Design, Garden travel and tours, Garden Visiting, Historic garden restoration, Landscape Architecture, national trust gardens, Public parks on 3rd August 2009 by aaron.